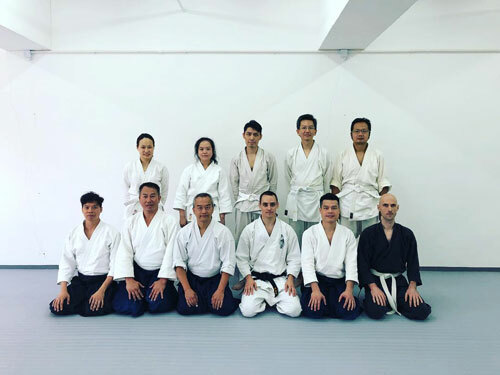 On 3rd June 2018, Aikido Honto Ryu and Seishin Tanren Dojo held for the first time a joint workshop on Aikido and Aunkai. 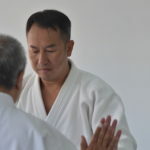 Jerald Tai, 3rd dan Aikido, opened the session with warm up and basic Aikido techniques, explaining thoroughly the principles behind the techniques and the specific role of Uke in them. 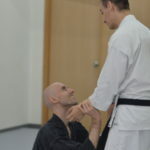 Jerald covered quite a number of techniques but managed to stick to the key points for each of them, which was extremely valuable as not everyone in the room had an Aikido experience. Coming next, Xavier ran the class through the basics of Aunkai, and in particular the “static” ones, i.e. how to stand properly, how to push or move the hands for age te/sage te. 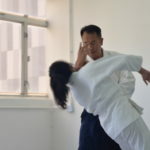 Aunkai is a “back to basics” practice that consists in understanding our body to be able to move freely and have an exponentially increased impact on our partner. 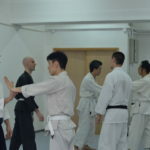 As it doesn’t focus on the technical aspect of things but rather on the body construction, in a style-agnostic approach, we were able to focus on basic elements that can be useful for Aikido, Jujutsu, but also Karate, or anything for that matter! Budo is not made to divide people but bring them together, as it’s only by collaboration and exchanging with others that we can see our flaws and improve further. We hope this first workshop was a great opportunity for all to learn new things and we do look forward to the next one! ⟵What can we learn from the masters of the past?